Marvel Studios revealed a trippy new trailer for “Doctor Strange” during its Hall H presentation at Comic-Con Saturday evening. Benedict Cumberbatch appeared in the trailer, occasionally shirtless and occasionally twirling a cape behind him in a way that marks him as very different from most other Marvel heroes: Though he doesn’t have traditional superpowers, he’s described as pure magic. A bald Tilda Swinton also appeared in the footage as the Ancient One, who guides Strange in his exploration of his powers to bend reality. The trailer also featured appearances by Chiwetel Ejiofor, Rachel McAdams, Benedict Wong and Mads Mikkelsen as a villain with curious scarring around his eyes. 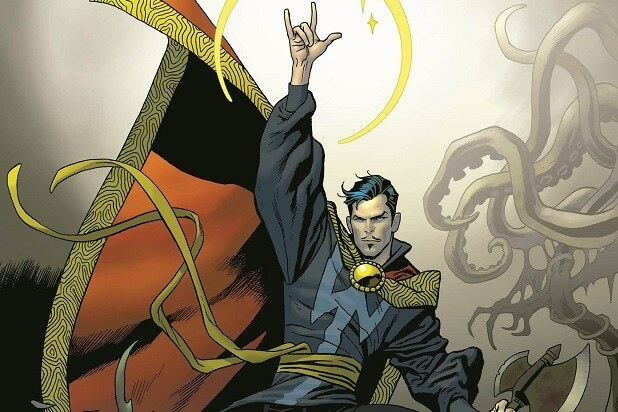 “Doctor Strange,” which is being directed by Scott Derrickson (“Sinister”), is scheduled to hit theaters on November 4, 2016.